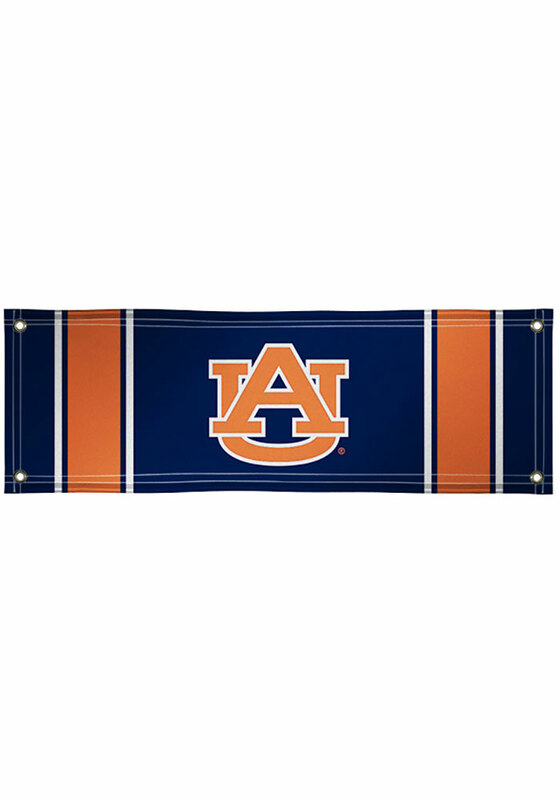 Unfurl your Auburn Tigers pride with this Auburn Tigers Banner. This Banner features a Auburn University logo. Show your Tigers pride with this Burnt Orange & Navy Blue 2x6 Vinyl Banner. This 13oz smooth vinyl banner includes a high quality print and has a grommet and rope in each corner for multiple hanging options. Flag pole not included. Go Auburn!